We believe education is one of the most important steps for recovery. Here are a list of resources that we find incredibly helpful when it comes to dealing with anxiety disorders, depression, and suicidal thoughts. *Disclaimer: We are not mental health professionals or experts. We speak only on behalf of our own experiences and what has helped us the most. If you are struggling with any of these symptoms, we recommend that you go seek the help and counsel of a mental health therapist. Our resources and opinions are only to serve as a tool and source of encouragement for those who are struggling and have been diagnosed. Intrusive Thoughts is a website dedicated to educating and humanizing the struggle of Obsessive-Compulsive Disorder. The founder, Aaron Harvey, battled OCD and other mental disorders for over 20 years while undiagnosed. As soon as he sought help and an explanation for what he was battling, Aaron began his journey of recovery and saw his life finally turn around for the better (you can read and listen to his story here). If you are struggling with intrusive thoughts and severe anxiety, this resource could help you better understand what you are struggling with and also make you feel less alone in the process. Everybody Has a Brain is an online resource that provides practical help and insight for those struggling with mental illness, particularly OCD and other anxiety disorders. This resource encourages those who are suffering to get real help and that recovery is possible for anyone, no matter how dark it may seem for them right now. Our mental health is like our physical health - it needs to be regularly taken care of in order for you to feel well! OCD and Christianity is an online resource dedicated to particularly helping those in Christian communities who struggle to reconcile their battle with OCD and anxiety with their faith in God. Dr. Ian Osborn, the creator of the site, has written two books on the disorder and has many years of experience as a psychiatrist in the treatment of obsessive-compulsive disorder. This website provides education, therapeutic strategies, and monthly blog posts to help inspire and bring relief to those fighting OCD. To Write Love on Her Arms is a nonprofit organization dedicated to creating awareness and encouraging recovery for those struggling with depression, anxiety, self-harm, addictions and suicidal thoughts. This website provides ways that visitors can get involved in spreading awareness, donating to the mission, and ultimately providing hope for those who are struggling. 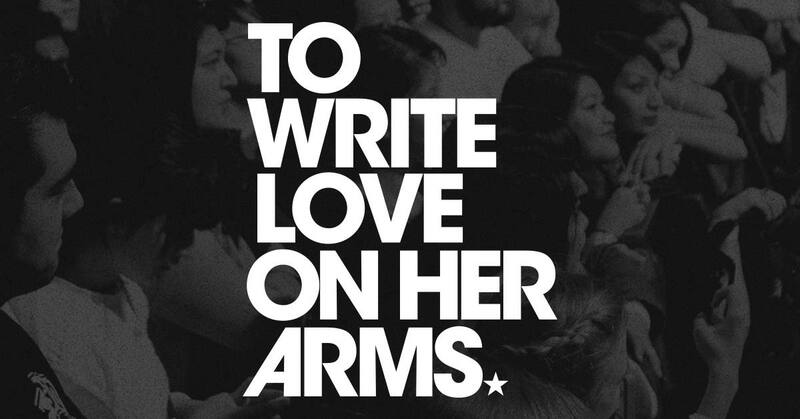 On top of all that, TWLOHA provides lists of local counseling centers and suicide hotline numbers for anyone who needs urgent help but doesn't know how to get it.